nanoDSF is an advanced Differential Scanning Fluorimetry method for measuring ultra-high resolution protein stability using intrinsic tryptophan or tyrosine fluorescence. Applications include antibody engineering, membrane protein research, formulation and quality control. To be able to validate a method for quality control purposes, i.e. to make sure that the method is suitable for its intended purpose, one of the prerequisites is to verify that the instruments used generate reliable and consistent data. One of the main parameters that need to be checked is precision with its three levels: repeatability, intermediate precision, and reproducibility. 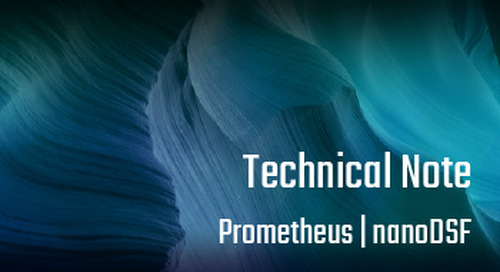 In this Technology Brief we demonstrate the outstanding repeatability and intermediate precision of measurements with the Prometheus NT.48 instrument for both raw data and results. In addition, we are able to show superb homogeneity of results across all 48 sample positions (capillaries).